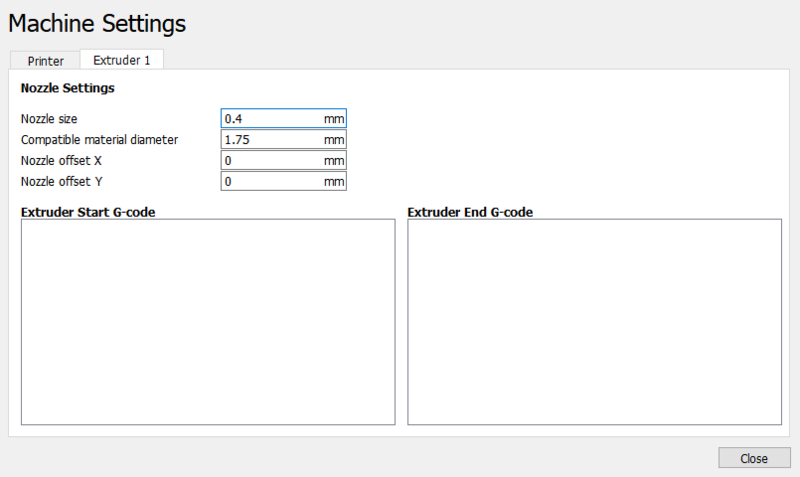 Hey guys, I’ve been going around the “custom” profile threads as I’ve been trying to setup Cura, but all the information is so jumbled up I can’t really make much sense of it. 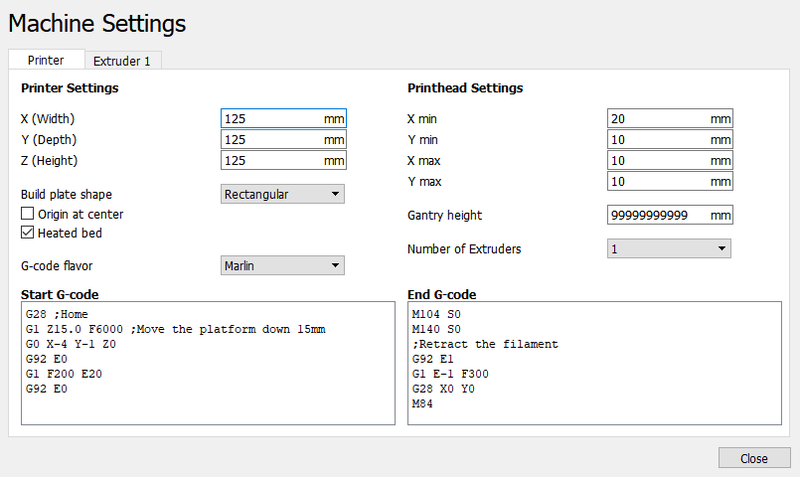 Can someone condense or make an idiot proof guide for a basic Cura profile with start/ending code similar to the Snapmakers default one? I only tried this High Quality profile, but it should be easy to copy this profile to the other two, and adjust the layer thickness etc. Does this include only the printing profile or does it include the “printer” settings profile also? As I wasn’t entirely sure what to add there as last time I fiddled around with that it ended up hitting the build plate which wasn’t pretty. Oh, I forgot about that bit. It won’t let me export. I started by going to the Setting menu, Printers, Add Printer. Select Custom printer, and change the Printer name at the bottom from “Custom FDM printer” to “Snapmaker3D” (or whatever), then click Add Printer. It looks like I got the Xmin and Xmax backwards on the PrintHead Settings, but it printed ok. I’m not even sure I modified those. I followed all the instructions as posted in this thread, and the software starts, I created the printer, loaded a project and sliced it. However when I click on it says printing, but then nothing happens. Interesting enough, is that it says the printer is connected, and when I remove the USB cable I can then see that it’s not connected any more… I’ve also exported to memory stick and then the print works perfectly. Anybody with the same issues? Ya I downloaded Cura 3.6 and it was nothing but a headache. It wouldn’t recognize my files and load them. I dumped it. Im using snapmaker 3D to print. I’m thinking about trying simplify.